A second battalion was formed in 1939, and fought at Boulogne in 1940, while the 1st Battalion was in Belgium as part of the British Expeditionary Force. A third service battalion was raised during the Second World War and fought in North Africa and Italy. Meanwhile the 1st and 2nd Battalions formed part of the Guards Armoured Division; the 1st Battalion as mechanized infantry and the 2nd Battalion as an Armoured Reconnaissance Battalion. The 1st and 2nd Battalions, working together, were the first British troops to re-enter Brussels on 3 September 1944, after an advance of a hundred miles in one day, in what was exuberantly descibed at the time as 'an armoured dash unequalled for speed in this or any other war'. Shortly after the war the 3rd Battalion was disbanded and the 2nd Battalion placed in suspended animation. The 1st Battalion has since taken part in excerises all over the world. It has seen active service in Palestine, the Canal Zone of Egypt, Aden, Cyprus and Northern Ireland. 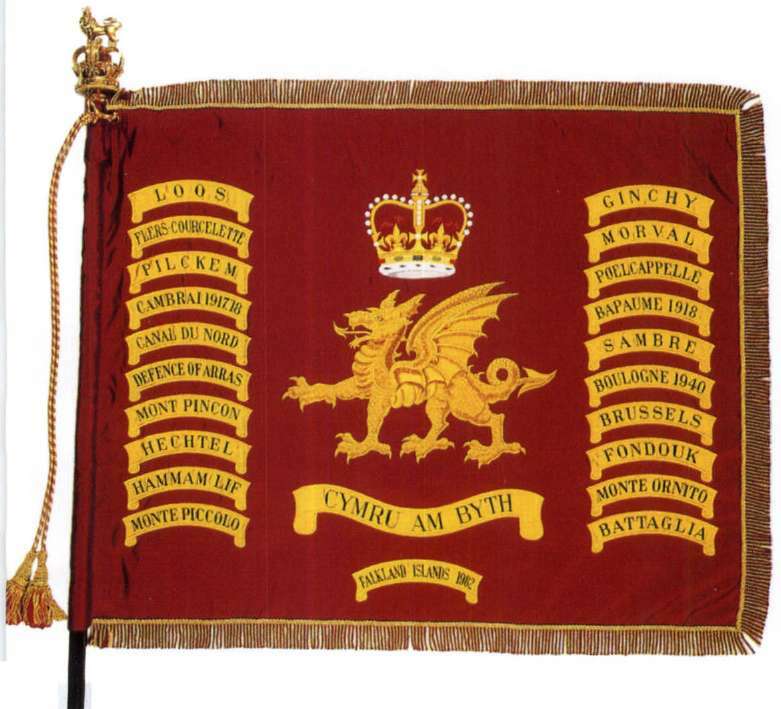 The Welsh Guards took part in the Falklands Campaign in 1982 and individual Guardsmen have served in other campaigns. The Welsh Guards wear on the left of the bearskin cap a plume, coloured white-green-white, made of cut feathers or bristle. Being the fifth Regiment of Foot Guards the buttons on tunic, cuff and skirt are in groups of five. Both the collar and epaulettes carry the leek, which was used as a Welsh emblem as early as the seventh century and has connections with St. David. The Welsh Guards on active service in the Falkland Islands in 1982. Drummer of the Welsh Guards in Full Dress. 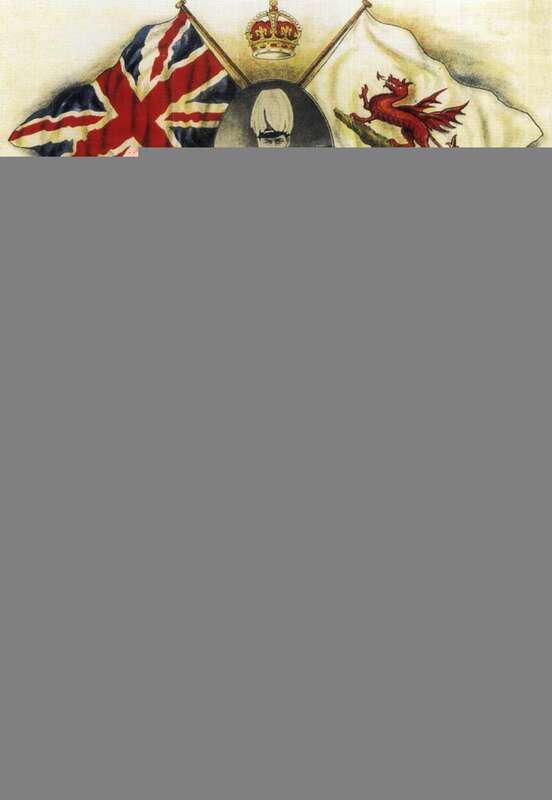 Enlistment poster for the Welsh Guards, 1915.